The visual health of young people has been affected in recent years by the social and technological changes that are taking place. Digital natives, born between 1992 and 2005, are the generation with the highest myopia rate compared to previous generations. 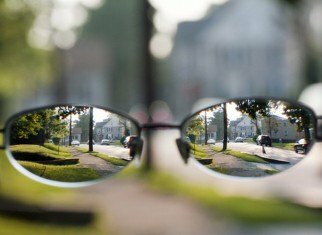 The association Visión y Vida, which includes ophthalmologists, optometrists and other experts in visual health in Spain, has presented a report entitled: “The prevalence of myopia among young people in Spain, 2018.” The report emphasizes that myopia affects more and more young people and teenagers. Myopia is a visual disorder that affects distance vision. It is usually a disorder that is associated with a hereditary component and, in the case of childhood myopia, it develops during school age and can continue to increase up to 18 years since the eyeball continues to grow. However, there are other environmental and social factors that can help the development of this pathology. In this report unhopeful data have been revealed for the ocular health of the young people. It has been concluded that the current data contradict old data in which it was believed that 47% of young people were affected by myopia. 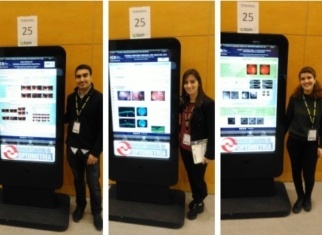 Nowadays, myopia affects 62.5% of young Spanish people between 17 and 27 years old, and the WHO has described this visual disorder as a pandemia that will increase in the future. It is estimated that 6 out of 10 young people have myopia, which means more than half of young people of school age and affects women in a greater proportion. 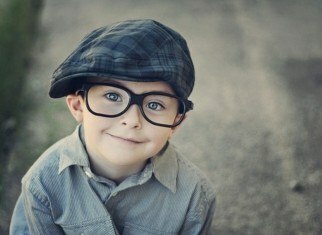 Digital natives have higher rates of myopia since childhood. 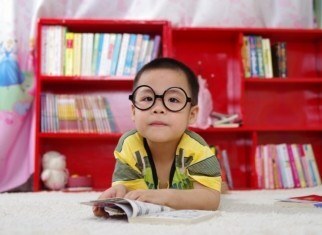 When they will arrive at the university, young people affected by myopia will surpase that of the previous generation. What are the causes of this increase of myopia in children and teenagers? The results that have been extracted from a study that was carried out with more than 6000 people born between 1990 and 2005. In this study it has been revealed that young people born between 2000 and 2005 have a half diopter of myopia more than young people of the previous generation at the same age. Experts link this increase of persons with myopia to the increase in daily hours focused on the use of electronic devices with a screen that also increases sedentary lifestyle. It is estimated that young people use the mobile phone for 4 to 8 hours a day and the computer for 2 to 4 hours a day. So, it would be confirmed that the use of mobile phones, tablets, video games, computers, etc. has a negative impact on our vision, especially for distance vision. What are the risks of this increase of myopia in young people? Myopia is a pathology that can be associated with other visual disorders of greater severity such as retinal detachment, glaucoma or macular dystrophies that can develop in adulthood. According to this study, 40% of patients with myopia and more than 8 diopters (severe myopia) may suffer a retinal disorder in adulthood. There are optical treatments (glasses, contact lenses, orthokeratology) and refractive surgery to correct myopia. Nevertheless, surgery does not protect the myopic eye and, therefore, it should be necessary to undergo regular controls to avoid associated pathologies. Moreover, systems such as orthokeratology lenses (Orto-k lenses) that are used to slow the increase in myopia have appeared, and can reduce the development of this visual disorder up to 45% on average. 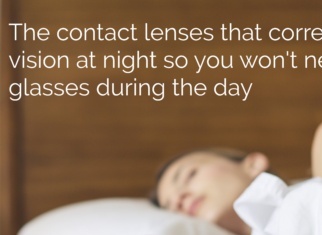 The use of Orto-k lenses is a reversible treatment, unlike refractive surgery, and without age limit that allows young people to have a normal life during treatment, since the lenses are worn at night, providing a good vision during the day without glasses or contact lenses. Thus, as told by Joan Pérez, optometrist and head of Orthokeratology at ICR and Vice President of the European Academy of Orthokeratology, “the goal of performing orthokeratology in a child with increasing myopia is that it reaches the minimum diopters of refraction when he will grow up “ and, so, reduce the risk of suffering in the future eye disorders associated with myopia. Experts advise taking measures such as reducing the daily hours using electronic devices with a screen. Young people should be taught the need to increase the daily hours of outdoor activities, since this is how they use distant vision. Last but not least, it is important to carry out pedagogy among young people to teach them to take care of their vision and, to emphasize the importance of going to ophthalmological controls if they have symptoms of suffering an ocular disorder.